The role involves handling incidents and service requests from customers/end-user by following the standard methods and procedures of the unit. You will use your skills to effectively use the existing knowledge base and documentation for quick win and first-level resolution. You will update checklists for quality assurance and progress tracking following standard operating procedure. You will ensure the seamless handover between shifts and monitor and publish the SLA achievement by keeping track of all KPIs. You will ensure crystal clear communication and documentation as point of contact. You will perform validation, verification, and correction, wherever applicable, of artifacts of the system (reports, bills, event records, screens, and so on). Report and properly document errors that are detected. You will perform basic software system operations, using the online screen, running maps and jobs, basic configuration/installation, and taking backups. You will work on fallouts from various applications, journalize manual billing requests, process payments, and customize miscellaneous activities. Recent graduates and/or equivalent experience. Experience with ticket-handling system is an advantage. Documentation skills, excellent verbal and written communication skills. Experience in using MS Office and end-user applications. Technical experience in related field; preference for computer sciences. Preference for computer sciences, technical diploma (India), or technical degree. 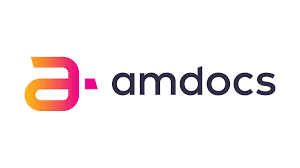 0 on: " Freshers :: Amdocs Hiring For Service Desk Analyst in Pune"